Palestinian postal workers are struggling to sort through nearly 10 tonnes of mail previously blocked by Israel and finally delivered as the result of a one-shot deal. 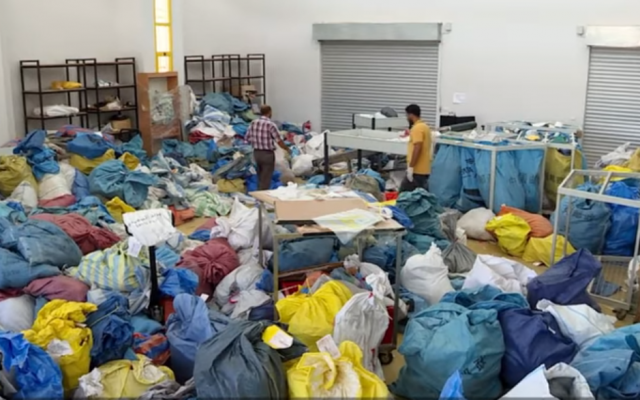 Some of the parcels date back to 2010 and include everything from letters to wheelchairs, according to the French news agency AFP, which visited the sorting centre in Jericho. Israel’s Coordinator of Government Activities in the Territories said the delivery of the packages followed the signing of an agreement “about a year ago” that had not yet been implemented, characterising it as a confidence-building measure.